UPDATE: Star Wars Night with the Potomac Nationals has moved to August 25th according to this announcement. Unfortunately, that means that Star Wars is no longer sharing the evening with Dollar Night. Our friend Derek wrote in to make sure fans in the northern Virginia area were aware of a Star Wars night coming to the Potomac Nationals baseball team, a minor league affiliate of the Washington Nationals. Fireworks are scheduled to follow all the GFFA activities included with the game. 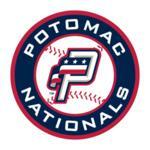 Visit the Potomac Nationals website for more information. Thanks to Derek for the heads up! Wings Over the Rockies Air & Space Museum in Denver, CO is hosting their annual May the 4th event this Saturday. Charles Ross' fist-ever tour of Ireland kicks off next weekend! Today from 11:00AM - 1:00PM! Friday, September 14th with fireworks!